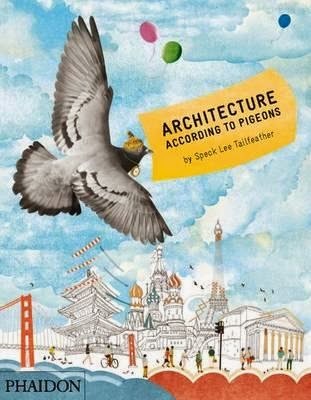 Picture book addicts, get set to drool--for Speck Lee Tailfeather is about to take you on a delectable journey around the world--to places near and far--taking a bird's eye view of some pretty spectacular architectural illustration. Speck simply loves architecture. He adores nothing more than a good old roost on a cathedral spire, a turret, a curved roof or a window sill. From England to Australia, Europe to South America, this plucky penguin takes in some of the finest architectural creations the world has ever known. There's the Taj Mahal (The Palace of Ghosts to pigeons), the Colosseum (aka The Murder Ring), Venice (The Watery Warren) and the Sydney Opera House (Hungry Beaks Hall) just to name a few. Along the way, Speck treats us to some insider info and insights on each illustrious creation, and even has a thing or two to say about how difficult humans make it for pigeons to enjoy a good old window sill every now and then. This is a fun, informative, strikingly beautiful book, with truly magnificent (bird's eye) views of each creation--some pages in landscape, some in portrait.